At some point in time we have all felt our creative edge fade and we found ourselves lacking the usual spark that sets us apart. But how do you get yourself out of the funk and start letting your creativity flow once more? Sometimes it is a little difficult to get yourself back into that creative zone. 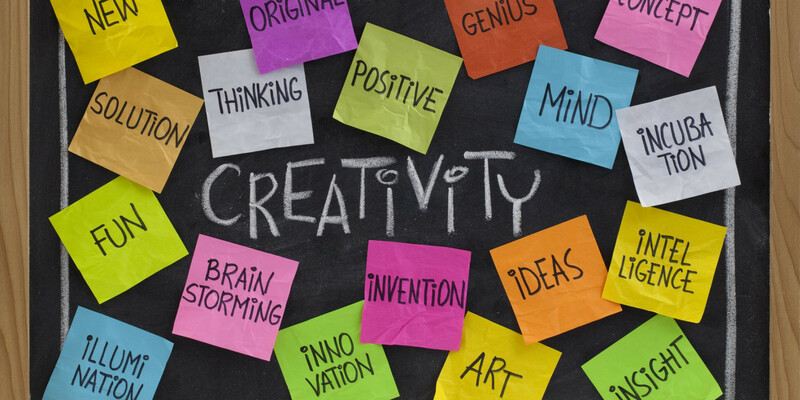 To help you we have compiled 9 tips to help unblock your creativity and get it flowing once more. It is true that greatness is achieved at the edge of your comfort zone. If you feel yourself lacking ingenuity, reflect on whether you are pushing the boundaries. It doesn’t mean burning yourself out through stress and working long hours, it means seeking out situations where your skill level is challenged to the edge of your ability. Find a way to become comfortable with being uncomfortable. This does not mean disengage. It means get away from your devices for a while. Put yourself on a ban from all technological devices for some period of every day. It may be whilst you are exercising or commuting to and from work. You will find that disconnecting from technology will improve your clarity of thought and allow your thought process to become more instinctive and creative. Routines are very helpful in adding structure to your life. However, too much of the same old, same old can stifle your creativity. If you feel like you are stuck in the grind everyday, change up your routines. Change the way you dress, how you work, how you exercise, what you eat. Shaking up your routines can give you a different outlook on things and you might find a new perspective on maters that were troubling you before. The importance of mindfulness is gaining traction in Western culture. It has long been a pillar of Eastern philosophy. Mindfulness is focus on being in the moment. Does your mind wander incessantly when you require focus? Perhaps it is time to practice mindfulness for unblocking creativity. Which are you? Mindful or mind full? Creativity goes hand in hand with your attitude. Essentially, creativity is about solving problems and finding solutions. If you do not believe you can find a solution maybe it is your attitude that needs correcting? Genius can strike at the most unexpected times. The last thing you want to do is forget your best creative thoughts before they slip your mind. If you carry around a notebook you can always ensure that your best ideas are written down on paper. When you come back to them later they will be easy to recall and expand upon. An immediate way to unblocking creativity is to finish what you start. There is nothing worse than having a whole lot of projects running simultaneously. A nice analogy is comparing your projects to the amount of room on your desk. If you have too much on, you are going to struggle to get things done and think creatively past all the clutter. Focus on one task at a time. It is so easy to get caught up in the rat race and forget about having a little down time. Whether you have a busy family life, or work long hours in a high stress environment, create a little time each day just for you. By providing time each day just for you it is easier to check in on how you are tracking and can realign your focus without getting bogged down. Trying different tasks and learning new things creates new patterns and connections in the brain. Expanding your knowledge can empower your thinking process and unlock creativity in avenues you never expected. Next time you are considering learning that new craft, language or hobby, just think how it can expand your creativity. 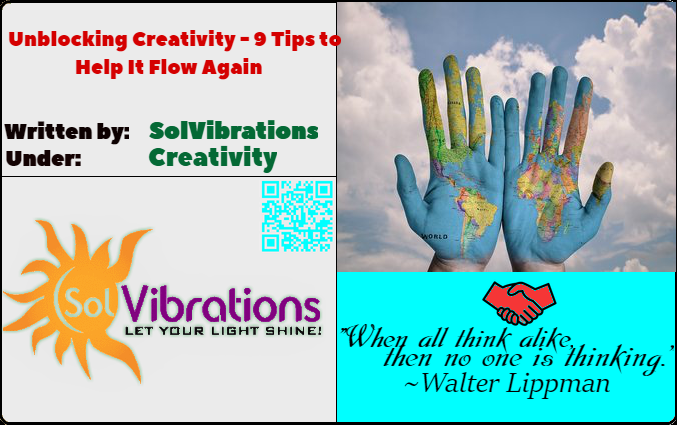 Unblocking Creativity – 9 Tips to Help It Flow Again has been endorsed by SolVibrations. Do you need help writing your essay? click, here.